Your first dance as a married couple is a moment you’ll never forget. And while “At Last” by Etta James and “Perfect” Ed Sheeran are amazing songs, your love isn’t like everyone else’s…so why should your first dance be? Below, we’ve put together a list of unique first dance songs that will capture the essence of your love story, and make sure your first dance is one for the ages! “Forever can never be long enough for me,” the first line of this sweet, semi-acoustic number say it all. The only thing sweeter than this song is the music video – the montage of different couples listening to this tune is enough to bring a tear to the eye. “Now I see it every day/And I know/That I am, I am, I am, the luckiest” – with lyrics like this, you can’t really go wrong. You’re definitely going to need Kleenex for this one, because it is a tear-jerker! With a soft country melody and the promise of building a life and future together, Dan + Shay’s From The Ground Up is definitely a contender for your first dance number. If your journey to finding “the one” has had more than its fair share of bumps in the road, Paramore’s “The Only Exception” is worth a listen. Although some might find this one melancholy, we’re optimists and love the sentiment that despite having been hurt before, there’s always someone who turns things around and makes you believe in love again. For the quirky couple who found the person whose weird matches their weird, Ingrid Michaelson’s sweet serenade to the one who takes her the way she is might be the tune for you! While Ed Sheeran is amazing, there’s something about this cover that brings a new kind of tenderness to this timeless love ballad. Andrade slows down Beyonce’s “Crazy In Love” and adds a romantic softness so you can sway with your honey while paying homage to Queen Bey. Ready to plan your first dance? 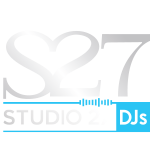 Call Studio 27 at (516) 730-5007 today!